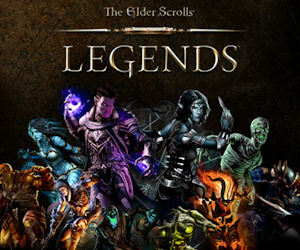 The Elder Scrolls Legends - Play for FREE! For a limited time only, you can play The Elder Scrolls Legends Beta for free! About The Elder Scrolls Legends: The Elder Scrolls: Legends is a strategy card game that explores the series’ characters, creatures, deities, and lore. Whether you have 10 minutes or ten hours, Legends provides a variety of gameplay modes and challenges that are easy-to-learn but difficult to master.